An experienced clinician and a suitable laboratory test are essential for the diagnosis of syphilis. Two types of serologic tests are available: the nontreponemal tests, such as the VDRL and RPR tests, are used for screening, and the treponemal tests, such as TP-PA and FTA-ABS tests, are used as confirmation. Unfortunately, serological tests cannot distinguish active from previously treated or past infection. However, they remain the only means available to diagnose latent disease. One of the current goals is to develop treponemal tests utilizing cloned protein antigens. Alternative diagnostic methods include direct detection of treponemes or specific nucleic acid sequences. The gold standard of direct detection of T. pallidum is the rabbit infectivity test (RIT). The RIT has a sensitivity of a single organism but is cumbersome, expensive, and time-consuming, requiring access to an animal facility, and takes 1 to 2 months to complete the test. Thus, it is not recommended for use as a routine laboratory test. Alternatively, treponemes can be visualized in lesion preparations by dark-field microscopy or direct fluorescent antibody tests (DFA-TP). Dark-field microscopy and DFA-TP tests have a sensitivity of approximately 105 organisms/mL in the lesion preparation. Nucleic acid amplification tests (NAAT) such as the polymerase chain reaction (PCR), which amplifies and detects the presence of the nucleic acids of the organisms (dead or alive), are the newest laboratory tests developed in the past 15 years. Any segment of the genome of T. pallidum can be used to design primers for PCR. The primers, however, must be tested for specificity and sensitivity and validated using clinical specimens. Currently, six gene targets (tpf-1, bmp, tmpA, tmpB, 47-kDa protein gene, and pol A) and one RNA target (16s rRNA) have been reported as potential clinical tests. The analytic sensitivity of the targets varies from 10"3 of the 16S rRNA, because of multiple copies, to one copy per reaction in the pol A PCR using the ABI 310 genetic analyzer. The PCR primers designed from the 16S rRNA have the highest sensitivity; however, the method is complex, and it is difficult to control the specificity because primers' sequences resemble other species' 16S rRNA sequences. The primers for the 47-kDa protein gene (TP574) have been extensively tested. 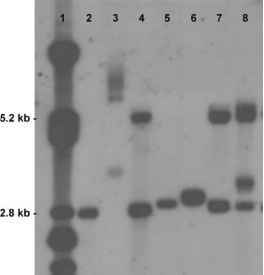 The pol A (TP105) PCR has been used in multiple samples, is relatively robust, and is sensitive to a single organism. A combination of 47-kDa protein gene and pol A PCRs is recommended for use together as a diagnostic PCR test. A newer generation of thermocyclers permit real-time PCR testing combined with microfluidic techniques, simplifying sample preparation to a single injection and making results available within 30 min. It is likely that a real-time PCR test will become the standard screening test for syphilis in the near future.